Bajaj Pulsar is surely one of the most popular high performing bike ranges in India, which has been serving for a really long time. In the Pulsar’s long range of motorcycles, the 220 comes as one of the sporty looking and higher powered ones. It is also affordable for those, who don’t want to cross the Rs. 1 lakh barrier. The Bajaj Pulsar 220 comes with sharp projector headlamp, front fairing, enhancing the appeal of the bike. It gets a muscular fuel tank and the usual Bajaj Pulsar like tail section. Also it comes with split seats, dual tone body theme, split grab bar for pillion, signature split Pulsar taillight. So far, the bike looks sporty, and it comes equally well suited on the highway and city roads as well. The Bajaj Pulsar 220 takes power from a 220cc single cylinder four stroke oil cooled DTS-I engine. Paired with a 5-speed transmission, the engine churns out 21.05 PS of peak power at 8,500 RPM and 19.1 NM of peak torque at 7,000 RPM. The top speed for this bike is 134 kmph. Dimensionally, the Bajaj Pulsar 220 measures 2,035 mm in length, 750 mm in width, 1,165 mm in height and 1,350 mm of wheelbase. It also features a 177 mm of ground clearance, which enables the 150 Kg weighing bike to take on the potholes of the roads pretty efficiently. Also the bike gets a 15 litre of fuel tank, which ensures a pretty long run for the rider. On the braking front the bike is equipped with 260 mm disc at front and 230 mm disc at rear wheel. The suspension duty is done by telescopic front suspension with anti friction bush and 5-way adjustable Nitrox shock absorber at the rear. 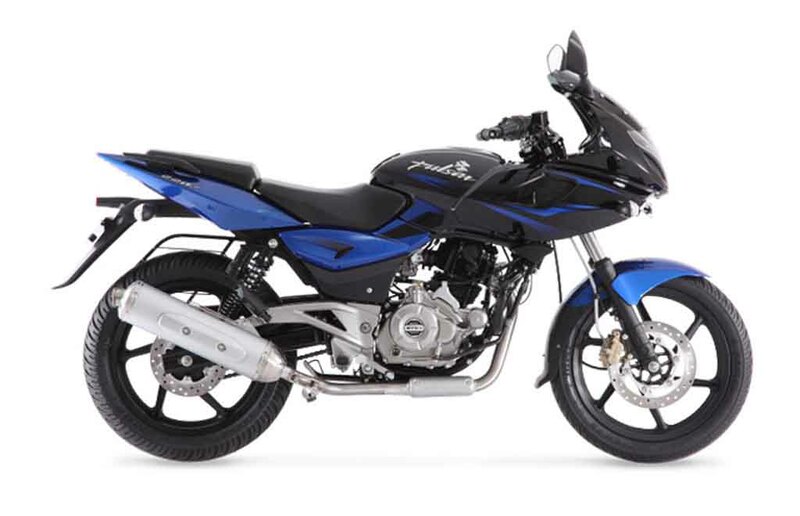 The Bajaj Pulsar 220 runs on 17 inch black alloy wheels wrapped with tubeless tyres. 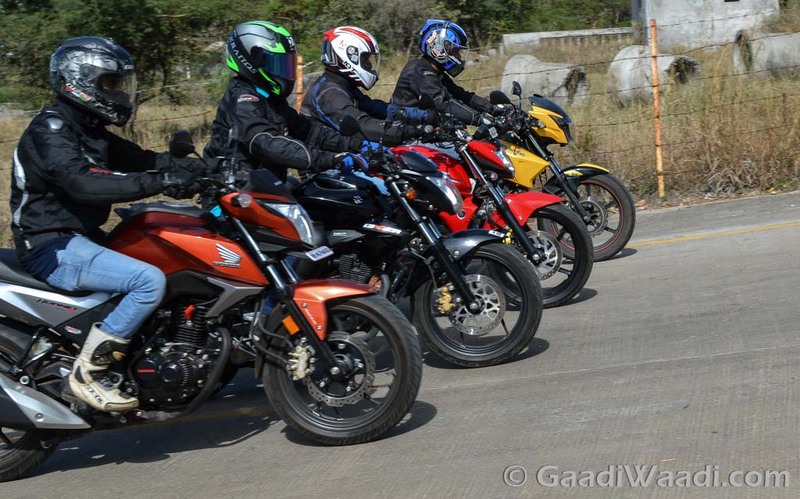 The Bajaj Pulsar 220 gets a price tag of Rs. 88,195 (ex showroom, New Delhi).